Join Riverfront Theatre Company July 15th-19th for a fun week filled with Acting, Dancing, Singing, Costume and Set Design!! A Workshop Presentation will be held Friday Night at 6pm! All Workshop events will be held at the North Augusta Community Center! 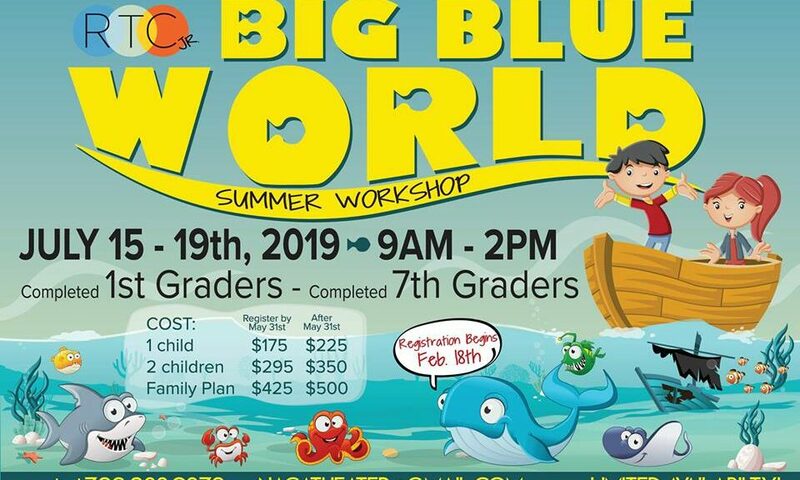 Big Blue World will cover all phases of the Theatrical Arts and is a perfect fit for any child interested in Musical Theater! Opportunities to grow and learn on stage and back stage! A snack will be provided, but children will need to bring their own lunch! Explore the world of theatre including how to build a scene, make costumes, conquer stage fright, and develop your character. Walk over to Aiken Community Theatre for a backstage tour. Show off new skills with a live performance for parents on Friday. 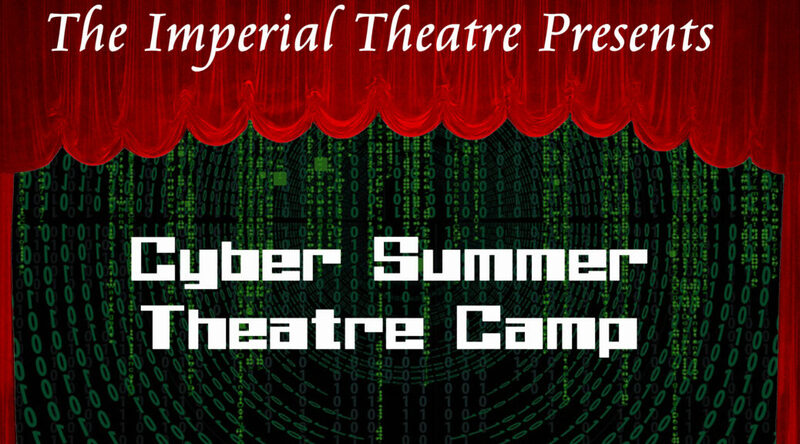 The Imperial Theatre is excited to announce that we will be holding a Cyber Theater Summer Camp, from Monday, June 24ththru Friday, June 28th, 2019. 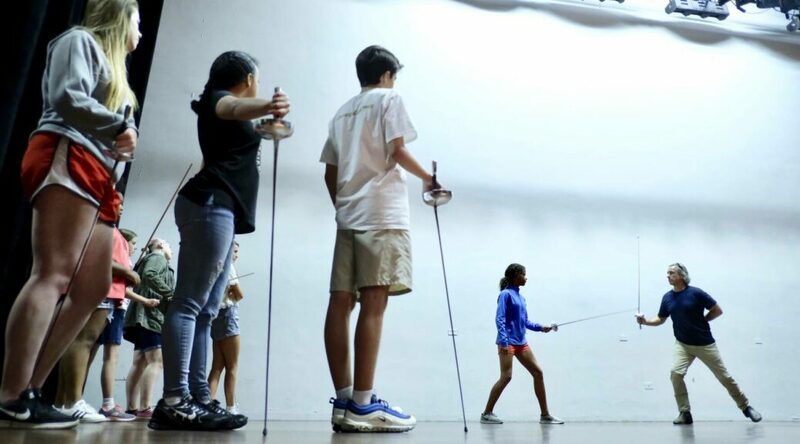 While there are many learning and training opportunities for students who are interested in performing arts whether it is theatrical, dance forms or music, there is little training available locally that includes a comprehensive overview of the various technical disciplines associated with stage craft. The Cyber Summer Theatre Camp will cover technical direction, lighting, audio/sound, rigging, box-office administration, compliance with the Americans with Disabilities Act, and a review of safety including automated fire systems for individuals interested in learning more about the technical aspects of theatre in the 21st Century. Cyber Summer Theatre Camp is for rising 8th graders, high school and college students interested in learning about the use of computers, electronic technology and web-based platforms that support the technical aspects of theatre, and the interdisciplinary approach taken by the crew leaders and members to provide the highest level of service to performing arts organizations, promoters and others that utilize the theatre for their productions and events with the result being a magical and meaningful experience for their patrons. The classes will take place from 9 am to 1 pm, Monday, June 24th thru Friday, June 28th at the Imperial Theatre. The registration fee is $150.00 per student with scholarships available on a case-by-case basis for economically challenged students. Registration for the Imperial Theatre’s Cyber Summer Theatre Camp is available online HERE! Students and attendees 17 years old and younger will be required to have a parent’s or guardian’s permission to attend. Permission slips will e-mailed to the e-mail address that appears in the registration information. 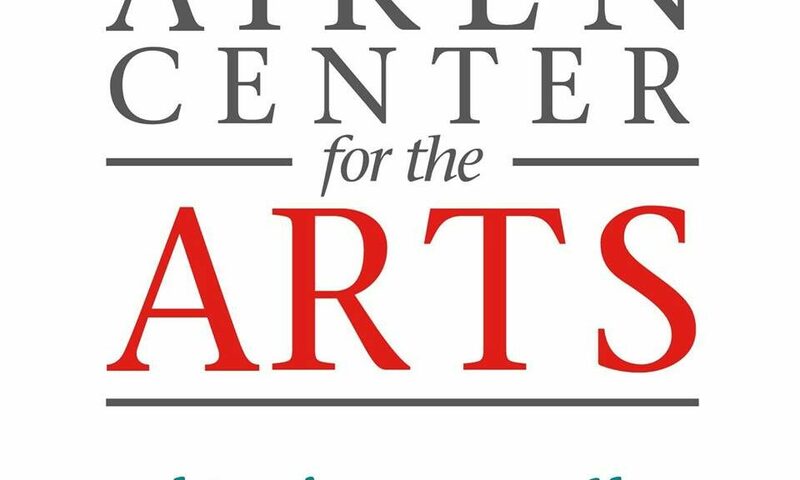 Funding for this project comes from the Greater Augusta Arts Council regrant of funds from Augusta, Richmond County. 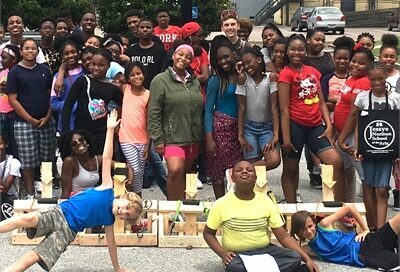 Augusta University Theatre Camp is an exciting opportunity for students interested in building their acting skills, or even those looking to try something new. Theatre Camp is a week full of acting, theater games, workshops, audition tips, costuming, plus a peek at what goes on backstage and more! The one week session will conclude with a performance that features the original theatre work created by the students during the camp. Theatre Camp is open to rising 6th-12th graders. Students will dine in the Jaguar Student Activities Center (JSAC), the heartbeat of the campus and a short walk from where daily activities to take place. Students may bring lunch from home, or bring money to purchase food from the Summerville Food Court. The Jaguar Student Activities Center offers Slice of Life Pizza, sub sandwiches, Hissho Sushi, WoW Cafe as well as a variety of grab-and go food items. *Students who attend the Extended session will have the opportunity to work with Augusta University Theatre students rehearsing and preparing for the final showcase.